That Start With The Letter "A"
☓ = To be deleted. Assortment of Historical Information and photos of abandoned railroads around the Northeast USA. History of the ACL Railroad's R-1 4-8-4's. 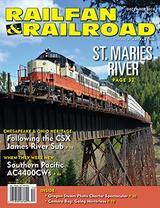 Railfan Photography & Resources. Designed to be a showcase of the beautiful scenery so plentiful in the West and the trains you see there every day. 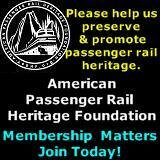 This is a group for individuals interested in the history & modeling of American Civil War Rail Roads. Home of the American Flyer "S" Gaugers of the St. Louis Area. Final pictures of the modifications to the LIONEL 213 bridge. Photos, line drawings, specifications, and disposition records of Alco/MLW diesel locomotives. 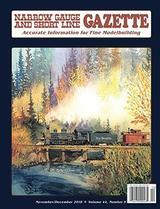 Algoma Central Railfan & Modeling Site. Alto Model Train Museum Association. 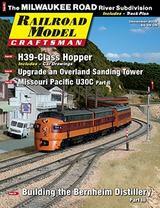 Model Railroad Wood Craftsman Kits and Other MR Related Subjects. The AM Express N Scale Club Home Page. Photos of Trains from around the USA and Canada. For historic reference only. Used to be an online source of Amtrak schedules before Amtrak.com posted them online. Photography travelogues by Jonathon Ortiz. Holding trip photos, train schedules and more. Pictures of Amtrak trains throughout the U.S.
Geno Dailey's Amtrak Photo Archive. A collection of Amtrak photos and travelogues from beautiful Upstate New York and Across America. Travels aboard some of Amtrak's finest long-distance trains: travelogues and photos. Home of the Ann Arbor RailRoad Technical and Historical Association. 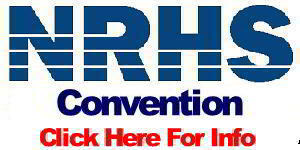 Some items for sale to support the 501c3 non-profit APRHF to preserve American passenger rail heritage. Photos of trains in and around the Arkansas area. Home of the Arkansas Association of Railroad Passengers. The Arroyo Valley "O" Gauge Model Railroad. Train gifs, photos, models, and links. The evolution of our model railroad and the display of photos and drawing taken on our railfanning trips. Steam Locomotive 786 by the Austin Steam Train Association. Most of the photos on this site come from Central and Southern Ohio. Atlantic and Hibernia, HO Scale Model Railroad. Information about some American train stations and routes (Info might not be up to date). The Augusta County RR Museum, in Waynesboro, exhibits operating model trains in three scales. This website is devoted to pictures and information about the Big Four Yard or Avon Yard in Indianapolis, Indiana. 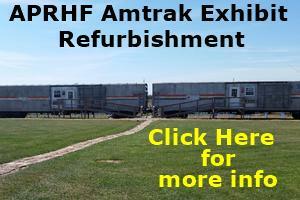 Operates HO and scale O gauge modular layouts at shows in Northern NH.